He coached women’s and men’s teams at the college level where he won national championships with three different schools. RIP. Auburn swimming coach Richard Quick, who won 13 NCAA titles with three schools during a career that spanned four decades, has died of cancer. He was 66. Auburn said in a statement on its Web site that Quick, who coached men’s and women’s teams at the school, died Wednesday. His family told the Austin American-Statesman that he died in Austin, Texas. Quick had been diagnosed in December with an inoperable brain tumor. “While he lost a valiant battle against a cruel disease, Richard was an inspiration to countless people who were touched by his steadfast faith and amazing courage in the face of tremendous adversity,” Auburn athletic director Jay Jacobs said. He won one title at Auburn, seven at Stanford and five at Texas. He also led the U.S. Olympic teams in 1988, 1996 and 2000 and was an assistant coach at the 1984, 1992 and 2004 Games. Quick’s women’s teams at Texas won five straight titles from 1984-1988. 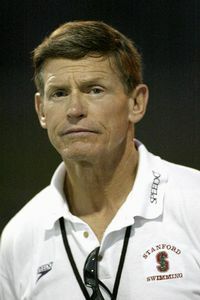 The Stanford women’s team won the title in his first year there in 1989. Auburn’s men won the championship in 2009 and Quick was named NCAA Coach of the Year for the sixth time. “Richard will be remembered as one of the greatest coaches in the history of swimming, but more importantly, he will be remembered as a devoted and loving husband, father, grandfather and teacher,” Jacobs said. Quick coached at Auburn from 1978-82 and returned there in 2007. In between, he coached the women’s teams at Texas and Stanford. He also served as the men’s head coach at Iowa State during the 1977-78 season and the women’s head coach at SMU in 1976-77.